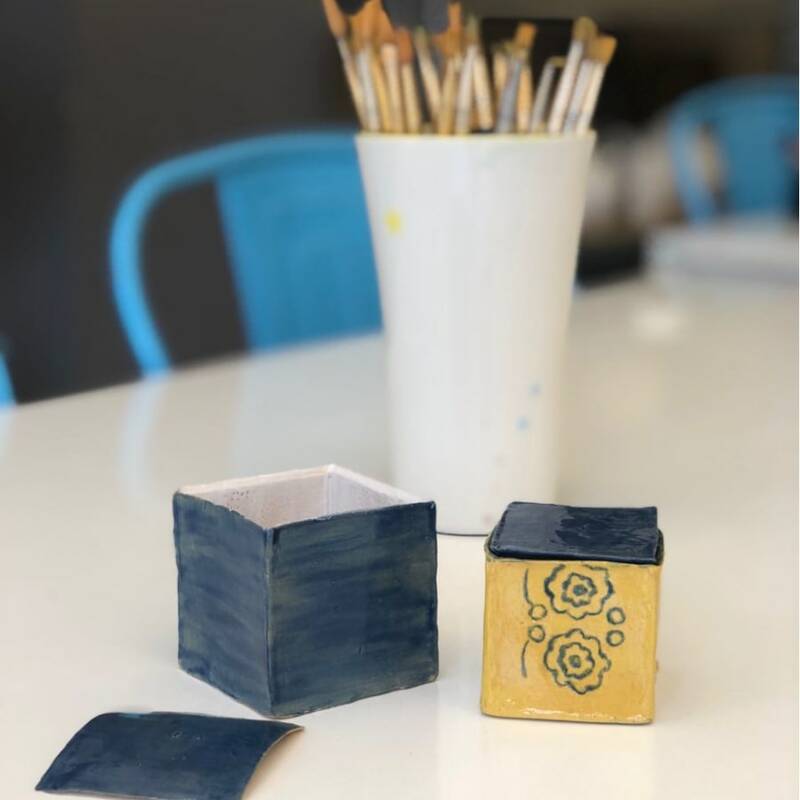 In this fun and hands-on workshop, we will teach you how to make and decorate a ceramic box from scratch. 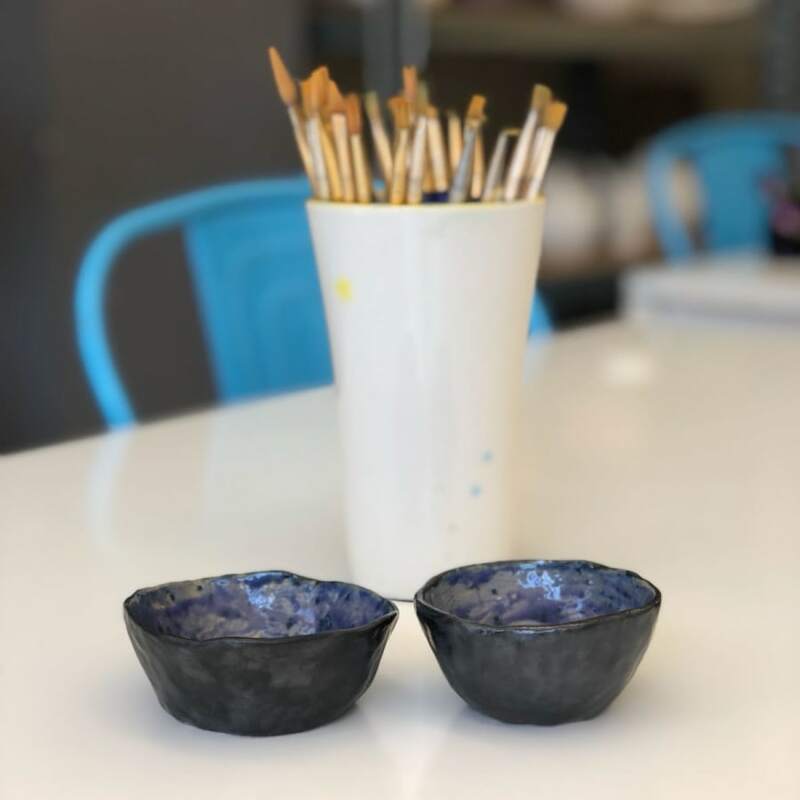 This is a great workshop to get stuck into the basics of ceramic techniques. 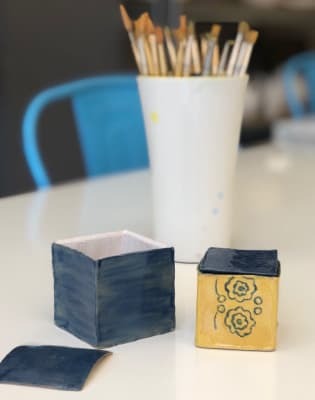 You will be taught how to correctly and successfully handle the clay to create a practical box, which can be used for anything you like - coins, makeup, teabags - you name it! Your creation will remain with us on the day to be fired in our kiln, and you will be able to collect it soon after. The nature of this workshop means that it is ideal for any kind of occasion - birthday party, hens do or even a team away day. It's a great time to relax and socialise, while enjoying being creative. Arty Club is a delightful local shop where you can fulfill and engage all your creative desires! Covering pottery, decoupage and other crafts, you will leave with a grin on your face. All materials will be provided on the day, but you are welcome to bring drinks and snacks with you!